As promised in my previous post here is an excerpt from Benjamin Franklin’s autobiography. Specifically one of the sections in which he mentions his relationship with organized religion. Being raised a Presbyterian it was my personal impression from reading this section that he felt particularly justified in pointing out the flaws he found common within that particular denomination. And so, without further preamble, in the old Gentleman’s own words, just as it should be. I had been religiously educated as a Presbyterian; and tho’ some of the dogmas of that persuasion, such as the eternal decrees of God, election, reprobation, etc., appeared to me unintelligible, others doubtful, and I early absented myself from public assemblies of the sect, Sunday being my studying day, I never was without some religious principles. I never doubted, for instance, the existence of the Deity; that He made the world, and govern’d it by his Providence; that the most acceptable service of God was the doing good to man; that our souls are immortal; and that all crime will be punished, and virtue rewarded, either here or thereafter. These I esteem’d the essentials of every religion; and, being to be found in all the religions we had in our country, I respected them all, tho’ with different degrees of respect, and I found them more or less mix’d with other articles, which, without any tendency to inspire, promote, or confirm morality, serv’d principally to divide us, and make us unfriendly to one another. This respect to all, with an opinion that the worst had some good effects, induc’d me to avoid all discourse that might tend to lessen the good opinion another might have of his own religion; and as our province increas’d in people, and new places of worship were continually wanted, and generally elected by voluntary contributions, my mite for such purpose, whatever might be the sect was never refused. Tho’ I seldom attended any public worship, I had still an opinion of it’s propriety, and of its utility when rightly conducted, and I regularly paid my annual subscription for the support of the only Presbyterian minister or meeting we had in Philadelphia. He us’d to visit me sometimes as a friend and admonish me to attend his administrations, and I was now and then prevail’d on to do so, once for five Sundays successively. Had he been in my opinion a good preacher, perhaps I might have continued, notwithstanding the occasion I had for the Sunday’s leisure in my course of study; but his discourses were chiefly either polemic arguments, or explications of the peculiar doctrines of our sect, and were all to me very dry, uninteresting, and unedifying, since not a single moral principle was inculcated or enforc’d, their aim seeming to be rather to make us Presbyterians than good citizens. At length he took for his text that verse of the fourth chapter of Philippians, “Finally, brethren, whatsoever things are true, honest, just, pure, lovely, or of good report, if there be any virtue or any praise, think on these things.” And I imagin’d in a sermon on such a text, we could not miss of having some morality. But he confin’d himself to five points only, as meant by the apostle, viz: 1) Keeping holy the Sabbath day. 2) Being diligent in reading the holy Scriptures. 3) Attending duly the publick worship 4) Partaking of the Sacrament. 5. Paying a due respect to God’s ministers. These might all be good things; but, as they were not the kind of good things that I expected from that text, I despaired of ever meeting with them from any other, was disgusted, and attended his preaching no more. I had some years before compos’d a little Liturgy, or form of prayers, for my own private use, entitled, Articles of Belief and Acts of Religion. I return’d to use of this and went no more to the public assemblies. My conduct might be blameable, but I leave it, without attempting to further excuse it; my present purpose being to relate facts, and not make apologies for them. He later goes on at length outlining his life disciplines. As part of that section he shares a couple of prayers he prayed on a daily basis and had written in the daily log book he used to track his various disciplines and challenges. And conceiving God to be the fountain of wisdom, I thought it right and necessary to solicit his assistance for obtaining it; to this end I formed the following little prayer, which was prefix’d to my tables of examination, for daily use. I used also sometimes a little prayer which I took from Thomson’s Poems. To be continued in future posts. 🙂 He has quite a lot to say on the subject in various contexts. The past six weeks or so I have been doing a lot of self examination. Externally and internally. Sometimes in life you have to deal with what is dealt. Put out fires as they pop up and just do the next thing because nobody else is and it must be done. The past few years this has been how most of my life has been lived. It hasn’t been very deliberate and it definitely hasn’t been planned or structured. One of the things I’ve done was take an inventory. What things do I do on a daily/weekly/monthly basis that are enjoyable, productive, and helpful to my family and myself? What things do I do that encourage personal growth and restore my energy reserves instead of drain it? Something that has been very sad to me for the past 3+ years is that I have had neither the mental space, physical energy and most of all no time to read for personal edification or enjoyment. Reading used to be as much a part of my life as eating and breathing. I literally inhaled books. Recent years reading has been purely centered around self education in the realm of health. Studies, books, nutritional certifications and more studies and more holistic health and healing books. In an effort to live more deliberately and to start making changes in my life that are positive this past month I started two books that were not in the least health related. And made time to read on them a little bit every day. It’s been wonderful. Part of my brain is awake and alive again. It just so happened that the first book I started was Benjamin Franklins Autobiography. 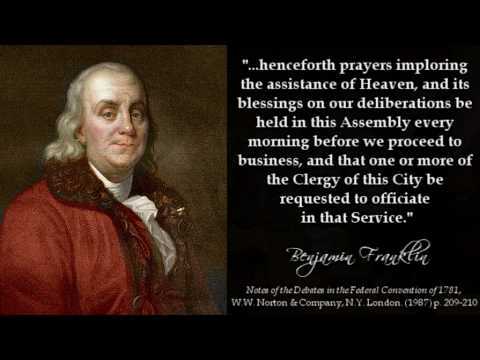 One of those brain niggles that had been bugging me for years is seeing some conservative Christian friends of mine quote Ben Franklin and put some sort of a disclaimer to the effect “I know he was an atheist but I thought this was really good” then followed by one of his many quotes. Rather startling to me since nothing I had ever read of his years ago back when I read historical stuff all the time had ever led me to believe he was an unreligious man much less an atheist. His autobiography explains a great deal about why people may have gotten that impression about him but how it is absolutely incorrect. 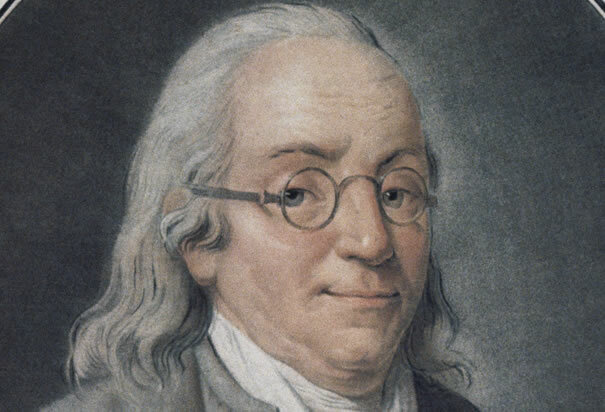 More on Ben Franklin and his religious beliefs in his own words in a future post. For now what I want to talk about is his personal edification program. The old geezers (I use the term geezer with the utmost respect and fondness) memoirs could not have come at a more fortuitous time for me. He spends quite a bit of time outlining some of the structures he used in his own life to build the life and legacy that he left to not only his family but to our Country as well. Since he says it all ever so much better than I could and I would venture to guess cares very little that he be quoted now and would in-fact probably be a bit flattered to know that people still care all these many years later I am going to present it in his own words without my muddled interpretations of it. Excerpt from the second part of Benjamin Franklins Autobiography written when he was 79 years old and living in France. It was about this time I conceiv’d the bold and arduous project of arriving at moral perfection. I wish’d to live without committing any fault at any time; I would conquer all that either natural inclination, custom, or company might lead me into. As I knew, or thought I knew, what was right and wrong, I did not see why I might not always do the one and avoid the other. But I soon found I had undertaken a task of more difficulty than I had imagined. While my care was employ’d in guarding against one fault, I was often surprised by another; habit took the advantage of inattention; inclination was sometimes too strong for reason. I concluded, at length, that the mere speculative conviction that it was our interest to be completely virtuous, was not sufficient to prevent our slipping; and that the contrary habits must be broken, and good ones acquired and established, before we can have any dependence on a steady, uniform rectitude of conduct. For this purpose I therefore contrived the following method. In the various enumerations of the moral virtues I had met with in my reading, I found the catalogue more or less numerous, as different writers included more or fewer ideas under the same name. Temperance, for example, was by some confined to eating and drinking, while by others it was extended to mean the moderating of every other pleasure, appetite, inclination, or passion, bodily or mental, even to our avarice and ambition. I propos’d to myself, for the sake of clearness, to use rather more names, with fewer ideas annex’d to each, than a few names with more ideas; and I included under thirteen names of virtues all that at that time occurr’d to me as necessary or desirable, and annexed to each a short precept, which fully express’d the extent I gave to its meaning. 1. TEMPERANCE: Eat not to dullness, drink not to elevation. 2. SILENCE: Speak not but what may benefit others or yourself; avoid trifling conversation. 3. ORDER: Let all your things have their places; let each part of your business have its time. 4. RESOLUTION: Resolve to perform what you ought; perform without fail what you resolve. 5. FRUGALITY: Make no expense but to do good to others or yourself; i.e. waste nothing. 6. INDUSTRY: Lose no time; be always employ’d in something useful; cut off all unnecessary actions. 7. SINCERITY: Use no hurtful deceit; think innocently and justly, and, if you speak, speak accordingly. 8. JUSTICE: Wrong none by doing injuries, or omitting the benefits that are your duty. 9. MODERATION: Avoid extremes; forbear resenting injuries so much as you think they deserve. 10. CLEANLINESS: Tolerate no uncleanliness in body, clothes or habitation. 11. TRANQUILLITY: Be not disturbed at trifles, or at accidents common or unavoidable. 12.CHASTITY: Rarely use venery but for health or offspring, never to dullness, weakness, or the injury of your own or another’s peace or reputation. He follows this list at length detailing how he began to incorporate and discipline himself in these areas of his life one at a time and gives an example of a gardener attacking a weed infested garden. The gardener would start with one bed at a time and restore it before moving on to the next bed that needed tending and care. As he reflects back over his life he mentions that he never successfully implemented his ORDER point and that since he began this as a young man with an excellent memory he allowed himself slack in this area, something he regretted as an older man with poor memory and lifelong habits of disorganization. Lest anyone be tempted to equate this list of morals life disciplines with a legalism based religious structure, or even so far as to assume that this code that he implemented in his life was even close to suggesting a path of salvation or anything like that. In the full context of his writings it is not in the least presented that way. Merely life-style habits along the lines of how we would discipline ourselves to make up our beds when we get up in the morning, or work out X number of times a week to maintain cardio health. This was his structure to help him maintain lifetime relationship health with his family, business and eventually political realms. I have found his perspectives refreshing and incredibly timely at this juncture in my life. It was worth sharing. Hope you got some value or insight out of it as well. One of the first things to do before delving into the complicated world of eye colors is to determine if your skin-tone is warm, cool or neutral. Follow this up with defining whether or not you think your actual eye color is warm or cool. Combinations are possible. For example: My skin tone is neutral but my eye color is a warm hazel. Once you know if you are dealing with a warm eye color or a cool it will immediately help you to narrow down available colors. The rule of thumb is simple. Warm with warm and cool with cool. If you have both neutral eye color and skin this doesn’t get any simpler and will require a bit more trial and error to figure out what is most flattering. But think of it this way, you have a lot more options than the rest of us! So let’s start at the very beginning. Almost all women need a base color that can be applied over the entire lid of the eye from brow to lash line. It helps to establish a uniform base color on which to apply the rest of the eye color ensemble. As foundation is to the face a base color is for the eyes. For some looks and women who prefer a more natural and minimalistic look the powder mineral foundation can be used as a base color for the eyes. It has the advantage of being very neutral and complimentary to the skin tones while at the same time helping to cover veins or other skin discolorations around the eye area. BeeyoutifulSkin offers four base eye colors. The first is Matte Cream. With distinctly warm tones it applies sheer when a dry brush is used. May be particularly flattering to warm skin and eye colors (as well as neutrals) and for also those women with olive toned skin. Also plays very well with warm green, brown and hazel eyes. Next up is Matte Pink. The palest of pales and completely neutral this is an almost universally flattering base color. Ideal for cool to neutral skin and eye colors. Some individuals with warm skin and eye tones will also be able to wear it due to it’s incredibly gentle pastel tone. Applies almost completely sheer with a dry brush as you can see in image below. Top part of the hand has Matte Pink applied with a dry brush and below it is Matte Pink Foiled. May be particularly flattering to cool blue, and green eyes. Matte White is next. This is a truly pure white. And as such is a neutral. Can be used equally well with warm or cool skin-tones and eye colors depending on the effect desired. It can be applied quite sheer dry or foiled but also has the ability to get a deeper and more complete coverage with a dry application. This is a really good base color for those who have heavy lids or are prone to dark or sunken eyes. It has a very nice brightening and lightening effect. 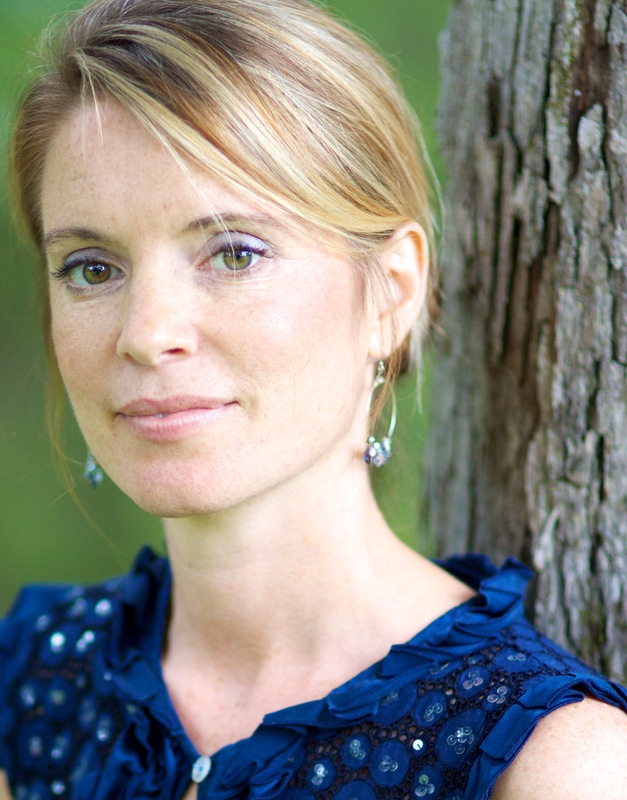 May be particularly flattering to warm or cool brown, green, blue and hazel eyes. Last but not least we have Silver Snow. A silver gilded white base color this has a subtle shine and shimmer to it unlike it’s fellow matte base colors. It also has decidedly cool tones to it. Complimentary to cool eye colors of all shades this is a base color that can be applied nearly sheer when used as a base but can also be foiled for a dramatic, full coverage pop of silverwhite color. Will be particularly flattering to all cool shades of eye colors. Question: I see that a lot of the ingredients in the mineral makeup are the same. Yet, the colors are very different. How can the colors be so different with the same minerals used? Answer: The colors of BeeyoutifulSkin pure mineral makeup are created by the different minerals being baked at varying degrees of heat and then mixed to create the various shades and varying degrees of shimmer and shine. No dyes or fillers are used to create the array of colors and shades. Question: Why can’t you give me free samples of BeeyoutifulSkin makeup? At this point in our company we cannot afford to make samples available for free. Filling the sample containers is very slow and tedious process and requires a lot of staff hours. So not only is it the cost of the product in the samples it is also the overhead of staff time to fill them. The charge for the samples doesn’t come close to the actual cost of the samples but it helps to off-set it so we can afford to make the samples an option. Question: If I order samples what will they come in and how much will I get? Your BeeyoutifulSkin mineral samples will come in a tiny zip lock bag with a label with the name of the color. We highly suggest tapping the minerals out onto a small plate or lid instead of trying to dip a brush into the bags. The foundations have enough for at least one full face application even for those needing heavy coverage, and the eye colors and blushes enough for a minimum of 2 applications. If you are testing multiple foundations to see which is right for you we highly recommend brushing a small amount of each color onto your cheek side by side to see which one achieves the best match. The one that seems to match the best you should try applying to your entire face to see if you are happy with how it looks. Question: The weights seem to vary a lot from one product to another even though they are all in the same size container. For example some of the darker shades of foundation are barely half the weight of some of the lighter shades. Why is this? Answer: BeeyoutifulSkin containers are filled by volume, not weight. One of the things we discovered early on in the process of creating these mineral formulations is that because it contains *only* minerals it is impossible to make each blend weigh the same. Some minerals weigh more than others. If you’ve ever gone out rock collecting you’ll know that some rocks, even though they are the same size weigh more than others. This holds true for the minerals as well. Each container is filled to capacity up to the insert that allows the minerals to be tapped out. In this way we are able to ensure that every customer will receive the same amount of makeup. If it were sold by the same weight some would receive half the usable amount makeup than others all depending on skin shade. Question: I’ve bought mineral makeup from other companies and the weight on all of their same sized containers regardless of the color were the same. How can they get their minerals to weigh the same and you can’t? Answer: Most mineral makeup companies use fillers. A little or a lot, but almost all have them. Clear or opaque fillers that are usually cheaper than the mineral powder that is used as the base. Some of these fillers are very natural and cheap (like rice powder) and others are not so natural and actually harmful to the skin. Our theory is that the companies who have the same weights are either not telling the truth about the weight of their product and just putting their lowest or highest average weight on the label OR they are adjusting the amount and type of fillers per formulation so that the fillers compensate for the variances of weight in the actual minerals. If you want to know for sure contact the companies and just ask. There are no words for how utterly delighted I am to finally be able to share publicly the makeup we have been working with over the past few months. It has been an overwhelming, yet wonderful project. 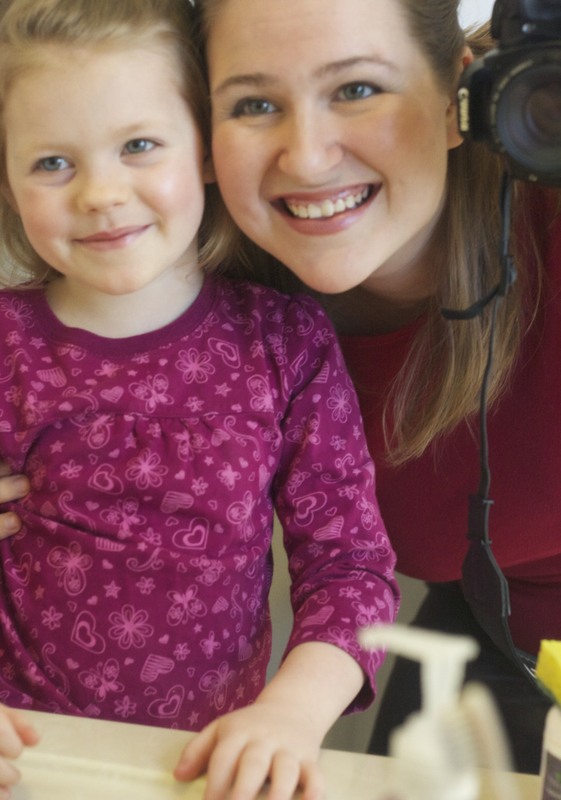 Over the past several years I’ve been able to work through the process of making a lot of different products available to our customers, family and friends via Beeyoutiful. They all have a special place in my heart. My job is typically quality control along with misc. other tasks in the process. Along the way there have been some that stole my quality control perfectionistic heart. Others became favorites for other reasons. Watch the videos. I am in the process of working on a lot more information content to populate the site with so you can learn more about the ins and outs of this makeup. The most important thing to know though is this. It’s pure. It’s simple. It’s just minerals in a breathtaking array of beautiful colors and textures. If you want to know what kind of minerals read the ingredients. We are a full disclosure company and every product will list exactly what is in it. No more, no less. Happy 5th to our Firstborn! Our sweet girl is 5 years old. That kind of stuns me. As much as I’ve looked forward to this stage it still seems surreal that we’ve actually gotten here! Our busy little Doodlebug is growing up into such a unique and complex person. She’s irrepressible. Says exactly what is on her mind. Even if nobody wants to hear it. Like “I’m going to go POO POOO!” in public. Loudly. On purpose. Or “You are NOT my Mom. MY Mom would let me do what I want to do” as was hollered at me a few days ago. The kind, sweet and grateful things pour out of her with the same level of enthusiasm as the negative or rude. A couple of weeks ago she asked to pray and it was one of the most candid conversations with God I’ve ever heard. She’s kind. Sensitive. In-tune and out of tune all at the same time. Brilliantly insightful in so many areas. She’s a one woman noise making machine from whistling, humming, tapping, she finds some way to generate noise pretty much every waking moment. Unless she’s involved in a particularly epic project of the creative variety. Then it gets quiet. And I still freak out not knowing what disaster I’m going to walk in on. She’s brilliant. She’s stubborn. She’s a perfectionist. She’s dramatic. She’s adorable. She’s dictatorial. She’s enthusiastic. She’s bossy. She’s compassionate. She’s too cute for her own good. She often loves the unlovable. She’s the best and the worst all rolled up into one incredible little package of girl-hood. I have often wondered if maybe the reason she made it when all the other babies didn’t…before my health was getting helped and before my problems had been adequately diagnosed…if maybe, just maybe it was partly because she was just too stubborn to give in and let go. If sheer force of will even as a super tiny baby could will survival she would be the one to possess that level of tenacity. It’s been an adventure unlike any other being her parent. Appreciate her more and more with each passing year and can’t thank God enough for allowing us to be part of her life in some small way. One day, just around the corner I’m going to get to watch her go turn the world on end. Or at least some corner of it. The ability to leave an impact and compel change is already a singular strength, especially for such a young kid. We love her more than worlds can express. To paraphrase the words of one of my favorite people, Gianna Jesson, “She’s God’s girl. You just don’t mess with God’s girl” Can’t wait to see what path God takes this unique little creature on in the coming years. For now we are gonna enjoy her pre-world-conquering days. Laugh. Read books. Play. Tickle. Talk about big stuff. Important stuff. Silly stuff. Eat good food. Learn lots. Practice stuff. And bury her in lots and lots of love. Happy Birthday Noelle. We love you more than the stars in the sky. We all got our mandatory sunburns around our second day in Maui. they were all pretty light except for Steve. He was doing the lobster imitation for a while but after a few rub downs of Miracle it converted into a nice tan. Turns out Caleb-baby wasn’t much a fan of the water. Surprised me since he’s normally such a water baby with the bath tub and swimming pools. Something about the waves kinda threw him for a loop. He loved hanging out on the beach with his Daddy and watching everything. 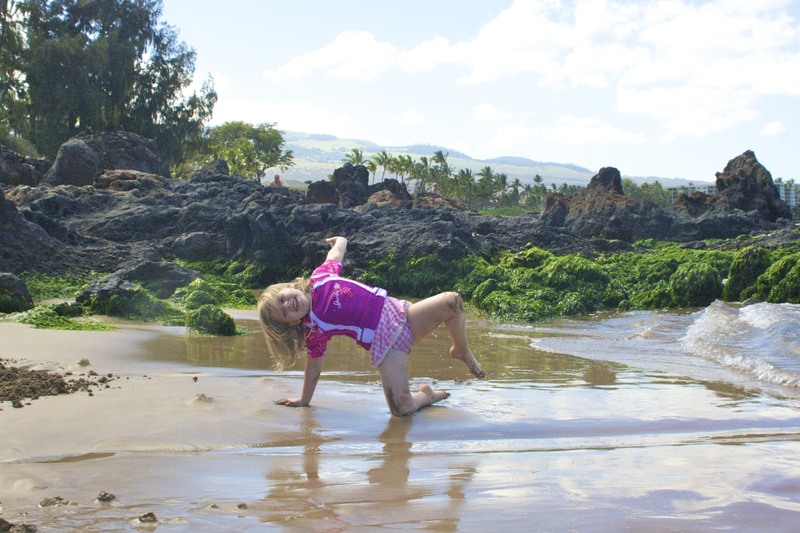 Doodlebug adored making what she referred to as “mud castles” and dancing in and out of the waves as they rolled in. She also hung out with her and took walks on the beach. It’s a pretty rare thing to run into tweens who are authentically nice, kind individuals with genuine sweetness and care of others. Bri was a joy to be around. Helpful, intuitive and friendly. It just so happens that this week she turns 11! Happy Birthday Bri! Thanks so much for everything you did that made our Maui vacation special. Doodles was especially blessed to be able to spend time with you. You are a beautiful girl from the inside out in every way. Bri’s brothers were also Doodlebugs companions for the week. A and J were double fun and occasionally double trouble the whole time. It was fantastic for Doodles to hang out with some all-boy boys of the rough and tumble variety. Her excessive drama just did.not.fly with them and it was both funny and great to watch their worlds collide. One of our favorite things to do as a family while we were in Maui was to walk the 1 block from our hosts family down to Kam1 Beach and watch the sunset.